The Mi-Tower One Man is the world's first one-man compact tower. The unique deisgn allows one user to easily transport, erect and dismantle the tower safely and efficiently. 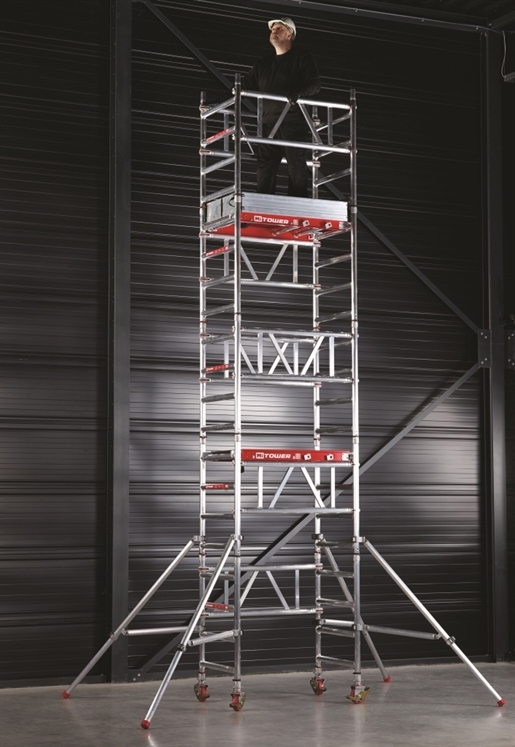 The Mi-Tower is available with working heights of 4m, 5m and 6m, ensuring a wide range of working at height appplications can be effectively performed.